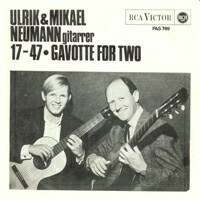 Danish guitar virtuoso, jazz musician, entertainer, showman, musical clown, Ulrik Neumann started his professional career together with his sister Gerda. 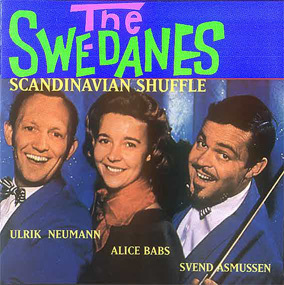 The duet toured Europe before it was enlarged with the jazz violinist Svend Asmussen and was tragically dissolved by the death of Gerda in an aircrash in 1947. 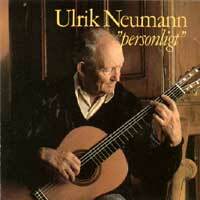 Ulrik also played in Jack Hylton's famous orchestra and toured the world with the Swe-Danes. He made hundreds of recordings and he was doing television before the word was to be found in the dictionary. (TV debut in London 1938!) He was one of the great pioneers of playing jazz on the classical Spanish guitar. He was also an industrious composer and wrote music for both the theatre and for the screen. Once he was offered the professorship at Copenhagen's conservatory, but he declined. He said himself that the guitar was his hobby.